The Game Developers Choice Game of the Year Award was given yesterday to Middle-earth: Shadow of Mordor, a title containing scenes that can provoke epileptic seizures. 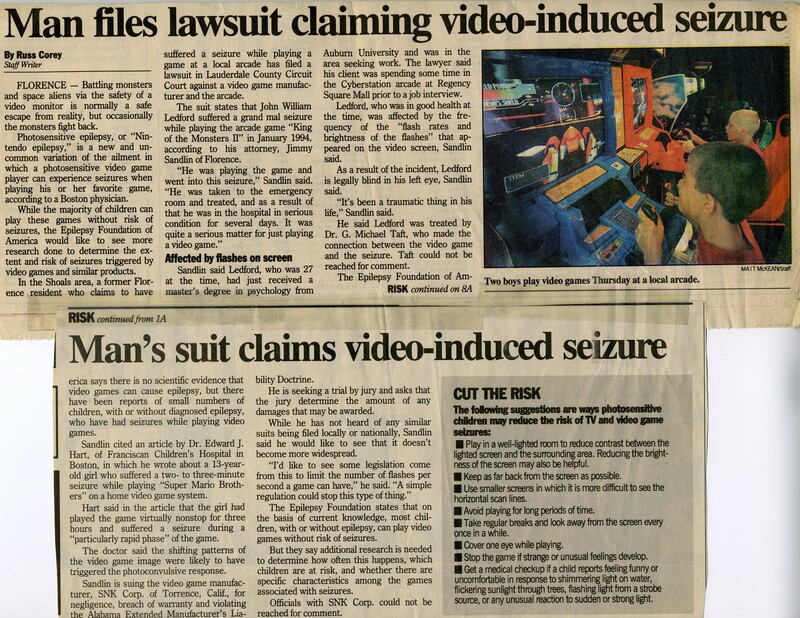 The game’s visual sequences violate guidelines for reducing the risk of seizures provoked by flashing and/or other provocative visual stimuli. You get the idea. Consumer safety and inclusiveness, though, are apparently–no surprise–absent from the selection criteria. You may have heard that photosensitive epilepsy, the condition causing vulnerability to visually provoked seizures, is very rare. It’s more common than studies have shown, and many cases go unreported. Seizures can be very subtle events that don’t draw attention, meaning that the individual and anyone with that person may have no idea a seizure has happened. Whether or not a seizure is an obvious event, it can bring on a range of disabling physical and cognitive after-effects as well as mood changes. Even though video games routinely carry seizure warnings, only some of them contain images that could provoke seizures. Unfortunately, consumers have no way of knowing which games have these images. So I have been testing popular games with an application designed to identify image sequences with a high likelihood of provoking seizures in people with photosensitive epilepsy. 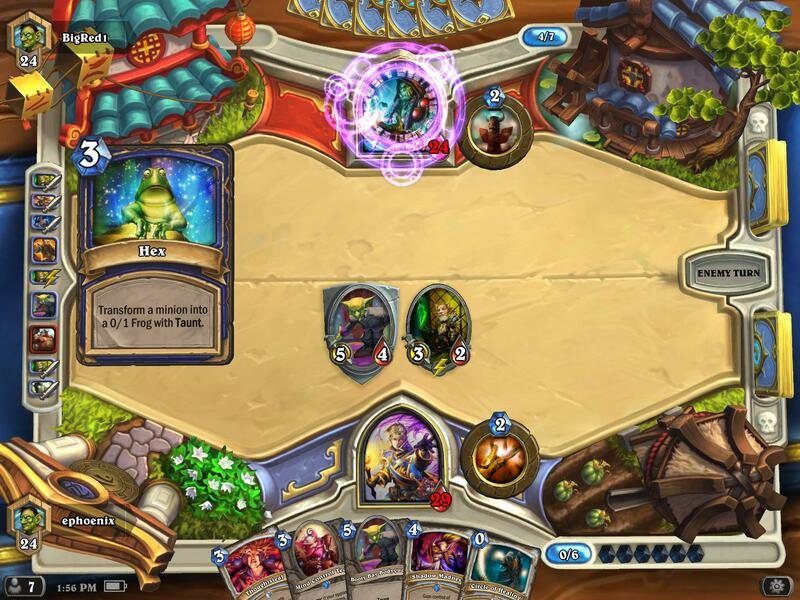 Hearthstone: Heroes of Warcraft, the only Game of the Year Award nominee that passed the seizure safety test, is a digital version of a trading cards-based strategy game. If the first clip I test of a game fails the safety guidelines test, I note that and move on to test the next game. I typically test at least 4 or 5 additional clips of a game if no guidelines violations are found initially. If I have a high level of suspicion due to the game genre and/or overall look of the sequences that there might be unsafe “footage” that I haven’t yet found, I may test a lot more clips. I work with video clips available online, some of which are official marketing and gameplay trailers; others are cutscenes and gameplay sessions posted by reviewers or fans. I avoid clips showing games that have been modified with other software. Your results could vary. Games that I report to be compliant with seizure reduction guidelines could have seizure-provoking sequences that I was unable to locate. The seizure reduction guidelines are designed to eliminate seizures in 97 percent (not 100) of inividuals with photosensitive epilepsy. In addition, the seizure threshold of individuals is affected by a number of factors including illness, hunger, stress, fatigue, length of play, and the player’s menstrual cycle, among others. So a game that seems OK for a given individual may trigger a seizure in that same person under different conditions.